The A E Skin Ultimate Rejuvenation is a multi-step treatment including laser and non-laser procedures done in one day to treat multiple signs of aging including wrinkles, dark spots, and sagging skin. 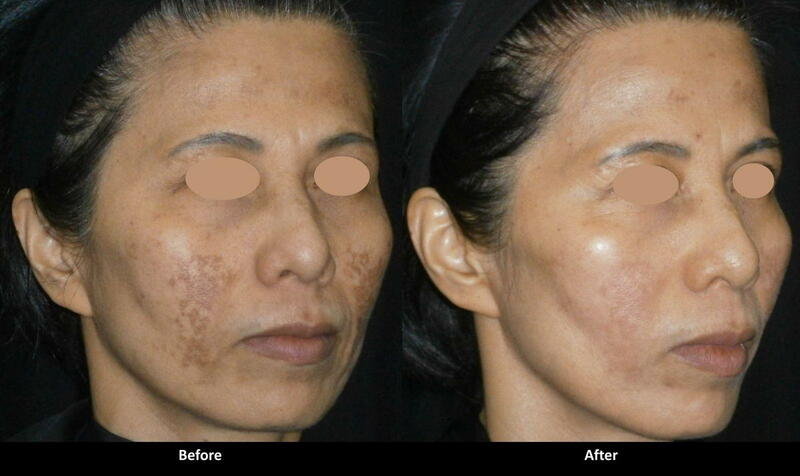 The treatment was designed by Dr. Alex so that patients can enjoy these results in a single treatment. Each treatment is custumized for the patient and includes up to four steps. The first step is the Forever Young BBL IPL photofacial treatment to address redness and dark discolorations. The second step is the skin tightening step, which heats up the skin and stimulates collagen formation to treat the fine lines, wrinkles, and sagging skin. This is followed by a Micro Laser Peel, which removes a thin layer of dead skin cells, giving the skin a soft and smooth texture and a bright glow. After that is the Pro Fractional Therapy, which places microscopic holes in the skin, which serve two functions. First they stimuate the deep layers of the skin to form new, fresh collagen, further treating fine lines, wrinkles, and sagging skin. Second, they acts as channels for the final step, the brightening treatment where a liquid brightening agent (hydroquinone) is applied to the skin. When topical brightening creams are applied to intact skin, they only penetrate a certain depth. Applying it immediately after a Pro Fractional Therapy treatment allows for the brightening agents to attack the deep discolorations that are resistant to other treatments. 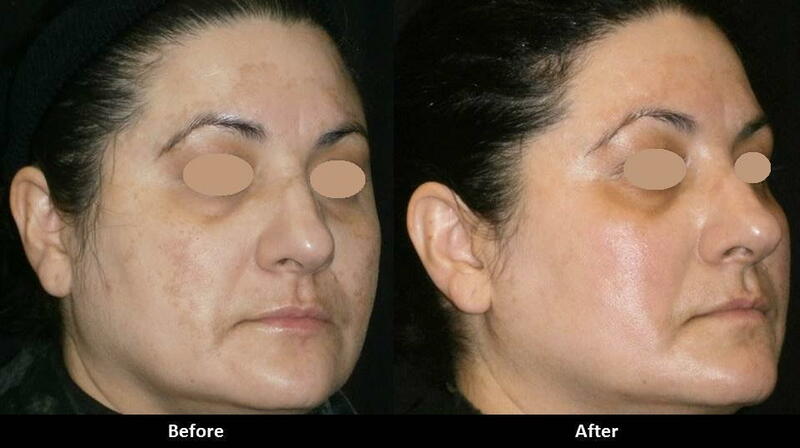 Patients are seeing outstanding results with the A E Skin Ultimate Rejuvenation treatment as seen in some of the before and after photographs. The A E Skin Ultimate Rejuvenation treatment works best when combined with a good skin care regimen such as the A E Skin skin care products. Contact Us for a free consultation with Dr. Alex.